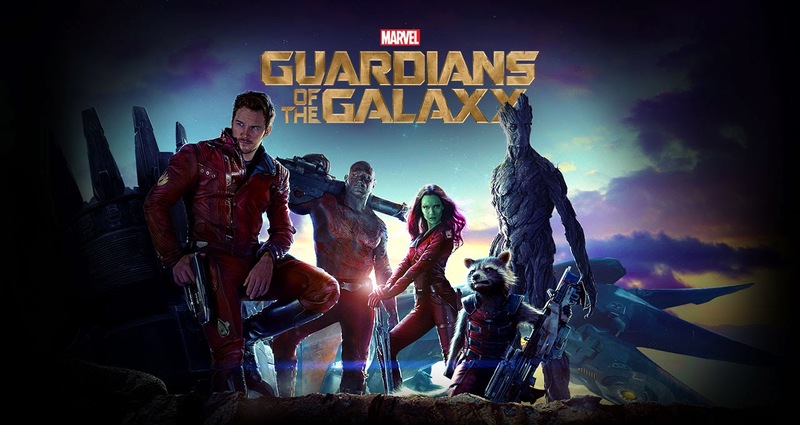 B's Beauty and Books: Movie Review: Guardians of the Galaxy!!! Movie Review: Guardians of the Galaxy!!! Chris Pratt and Zoe Saldana were, as always, amazing. But the real surprise in this movie was how well Vin Diesel & Bradley Cooper were able to bring Groot and Rocket to life. Both characters were so good that they could easily have had their own movie! I wasn't sure what to expect going into see this film. I had heard of Guardians before, but I wasn't sure if the story would be good and I wasn't sure how in the world they would make Groot feel real. I shouldn't have worried. After all, at the helm was James Gunn, the writer of the awesome game Chainsaw Lollipop! Bradley Cooper was fantastic as the wise cracking, loveable, tough as nails, yet vulnerable Rocket. We see him turn very sweet at the end. I don't want to spoil too much of this, if you haven't seen it and you are a fan of anything Marvel, this is a film you should see! I give this 5 fantastically fun lipsticks!!! Check out this awesome trailer!! !